Like someone may ask, what is NCC up to this time around? Hey, they are fighting for your safety and to see that your satisfaction in enjoying telecommunication Network service is not tampered by any thing negatively efficacious. To go straight to the point, NCC has warned angrily to those still using substandard phones and to those who are about making a mistake in getting the rejected substandard phones in talk, Not use those handset again. According to NCC, Here is the reason why you shouldn't use substandard phones. They said such handsets are responsible for the various network failure and related problems they experience during dialing or receiving of calls. We Notice that many consumers complain that their data and credit are illegally deducted by service providers but they should understand that smart phones have various complex attributes. So, Consumers should use the handsets outlined in our manual as they have been certified to be efficient for telecommunication usages. SMILE Telecom Launches 0702smile 4G LTE SIM. Check it out. Microsoft About To Let Windows Mobile Users Change Default Browser After Redstone 2 UpdateUpdate. I believe, you got where NCC was driving to. So, is now left for you to avoid substandard phones especially those ones with strange names everywhere. 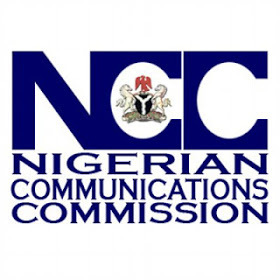 The warning came as a result of complaints people gave to NCC based on their experience. And now NCC is working to put an end to such catastrophe. All you need to do, is to go for standard phones although, most of them are costly but there are cheap and affordable once too and if you have been following up our updates, you could see that we suggest standard phones while writing about mobile phone specification.